If You Dig Dinosaurs Like I Dig Dinosaurs...: My work featured on Sleevage; my favourite album cover artwork site. 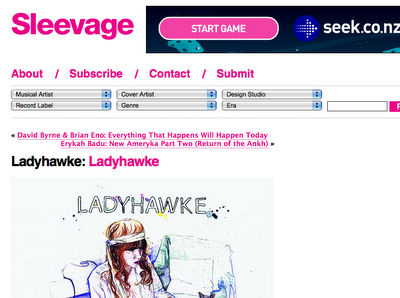 My work featured on Sleevage; my favourite album cover artwork site. What fortunate timing. 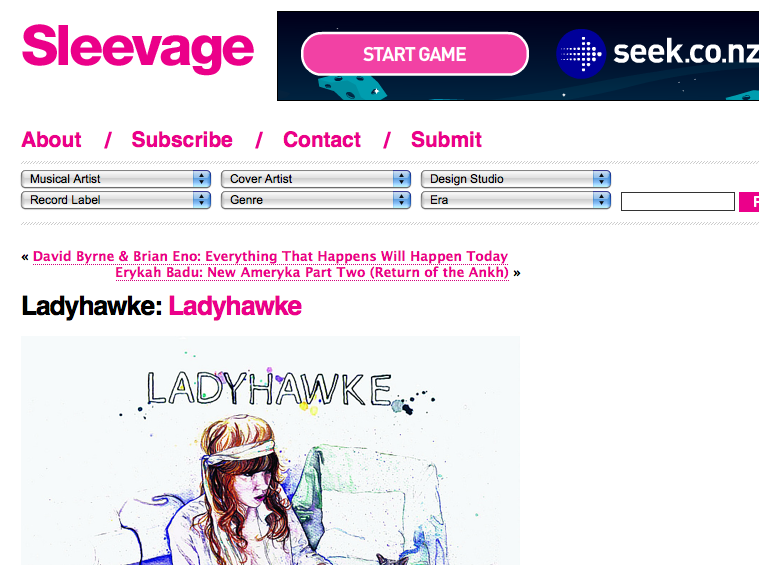 the day after I arrived in New Zealand to work with Ladyhawke on the aesthetics for her new album, Sleevage featured the artwork for her last album and singles. And right when i needed a little morale boost, too. Thanks Sleevage! I absolutely LOVE your illustrations for this album! this is actually how i found your blog! lovely work!! Yep i was wondering who made the ladyhawke cover and finally found you ! I'm so in love with your illustrations ! Congrats on making it to Sleevage. Your illustrations are lovely, I love the cats.